The American flag is probably the most recognizable national symbol in the world, and to those living in America, it represents something more than simple nationality, but it's a symbol of ideals, such as liberty, freedom and unity. Some names associated with the American flag are the 'stars and strips,' 'red, white and blue,' or 'old glory.' All of them are affectionately referred to and understood by those who have loved what America stood for, and struggles to continue to stand for to this day. 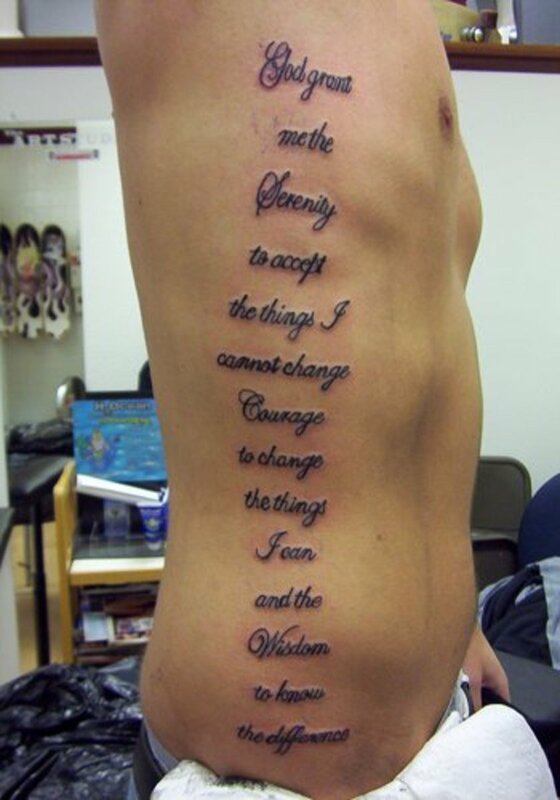 Because of that emotional attachment to what the American flag represents, many people choose to have it tattooed on them in response to their appreciation and patriotism in relationship to it. 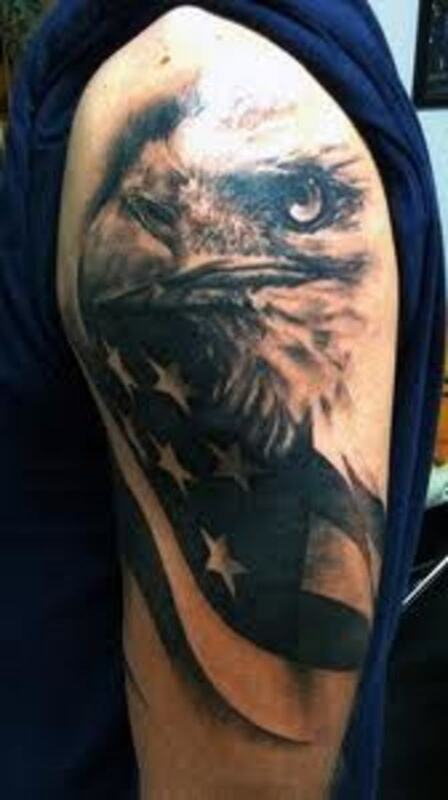 Being the national bird of the United States, the bald eagle is almost always associated in some way with the American flag in art, and that's the case with tattoos depicting the flag as well, with the eagle playing a prominent part in a large percentage of tattoos including the flag. Other ways it can be designs is it appearing to flap in the wind, accompanying a fallen soldier image, or as a bandanna, which so many around American choose to wear. 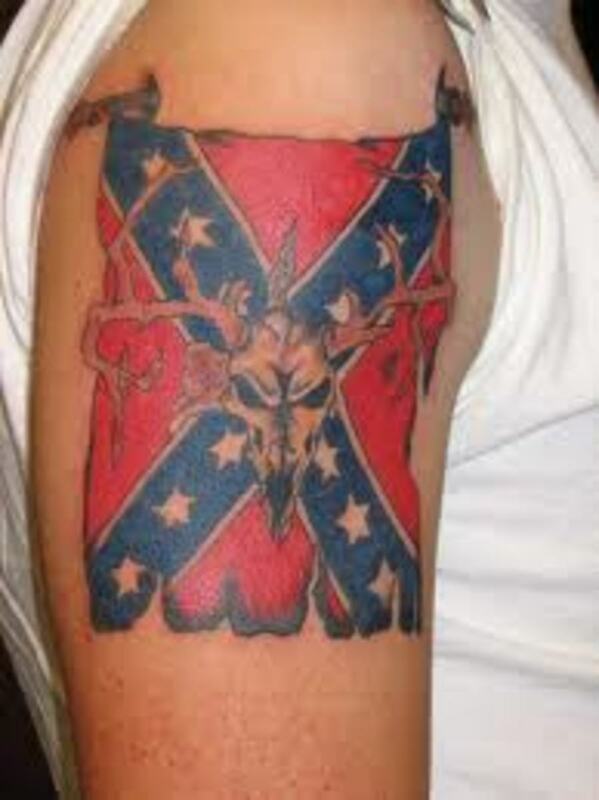 Whatever the design chosen, it is done so with a lot of thought by those deciding on the flag as an option, and many of the American flag tattoo designs are awesome. 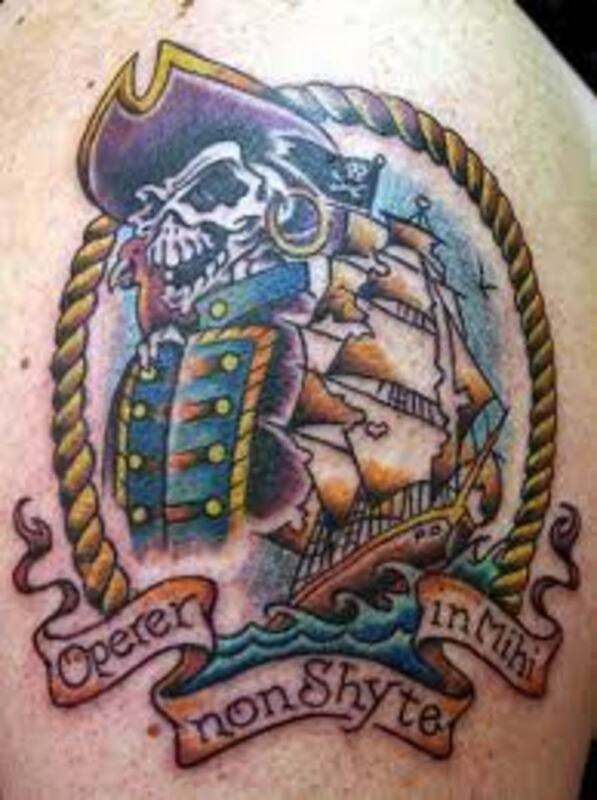 I think this is a great tattoo design, as how many times have we seen the image of a tattoo flapping in the wind, high on the flagpole, reminding us of what it stands for? The black and white colors are a nice choice, as it seems to depict the flag in a way that reflects the struggles we've had to become a nation over the years. It seems to say that freedom isn't free, and there is a huge price to pay to achieve and retain it. Many veterans of the armed forces in America wear bandannas around their heads to show their ongoing patriotism. 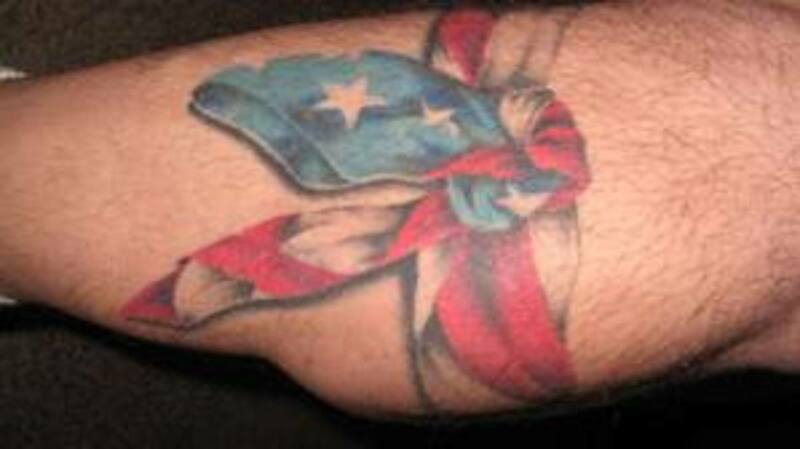 That is displayed here with this bandanna tattoo of an American flag wrapped around the calf of this man. The design here is fantastic. The knot looks great, and the way the colors of old glory are displayed in the design of the bandanna is very well done. 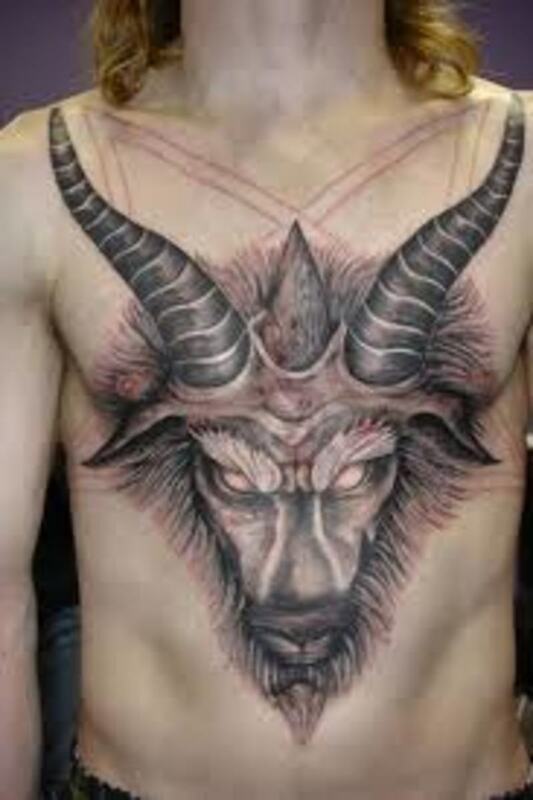 This isn't just a tattoo chosen to get a cool effect from the ripped flesh and zipper look, the idea is that within this person is the ideals represented by the flag, and the zipper and ripped flesh signify he's not ashamed to let that be seen, even though it can be a painful experience because of the many enemies we face. As for the artwork of the image, the shadow around the ripped flesh gives it a 3-D appearance, which displays the inner red, white and blue of this man who loves what America stands for. 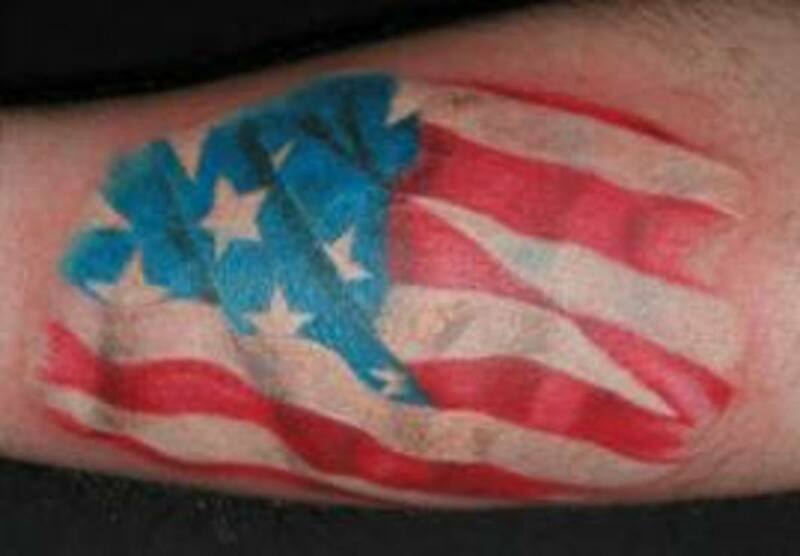 When first seeing this tattoo design of the American flag and bald eagle, I stood in awe of it. 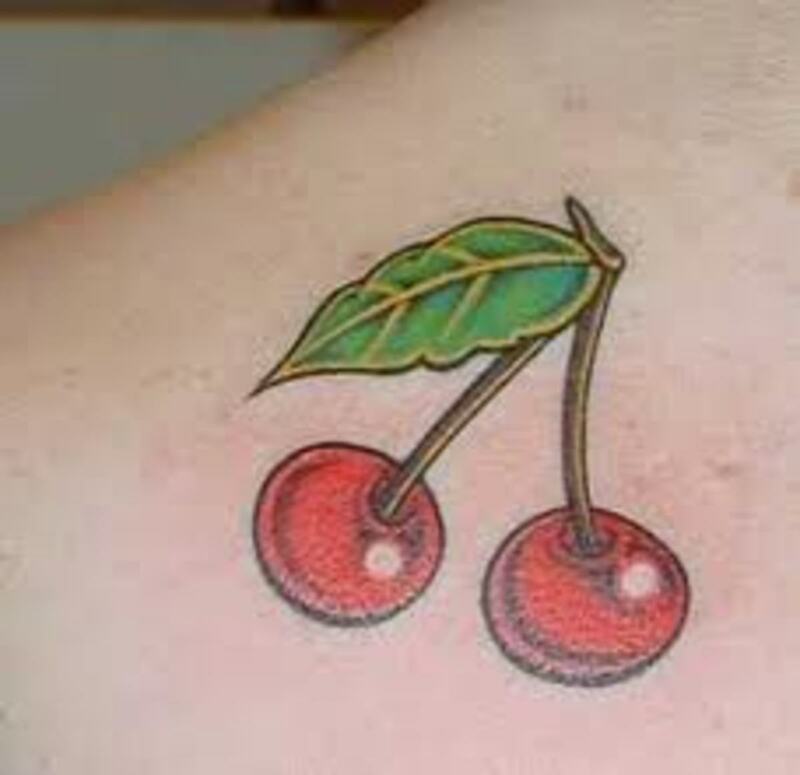 Contrary to the last two tattoos, which had something within needing to get up and be seen, this one seems to imply that there is no need for any type of action like that, as there was never any doubt as to what they believe and being unashamed to show it. That is revealed by the calm of the eagle as the flag rests next to it. This isn't someone confused about what it is they believe in and hold to, but someone that is strong in what they believe and rest in that fact in a way that you know they won't be moved from. As for the design, it's as good as it gets. The light color associated with the eagle is great, and is very compelling as it goes to the left to the flag, which is darkened as it moves in that direction. The detail of the bald eagle's head is extraordinary, and the eye looks fantastic as it stands out against the bright background of the rest of its head. When you include how the nostrils, beak, and feathers of the eagle's head flow into the dark color of the flag, it produces a eerily, calm image which emits the strength of the convictions of a true believer. 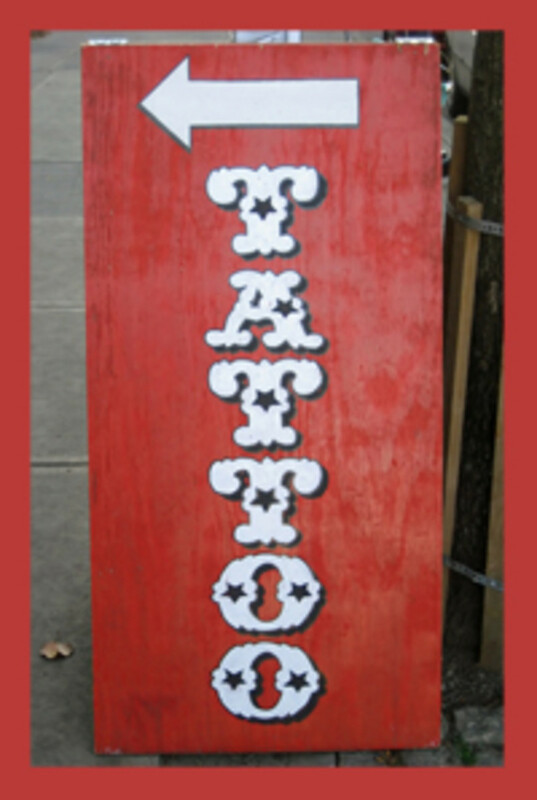 That was an awesome display of American flag tattoos. 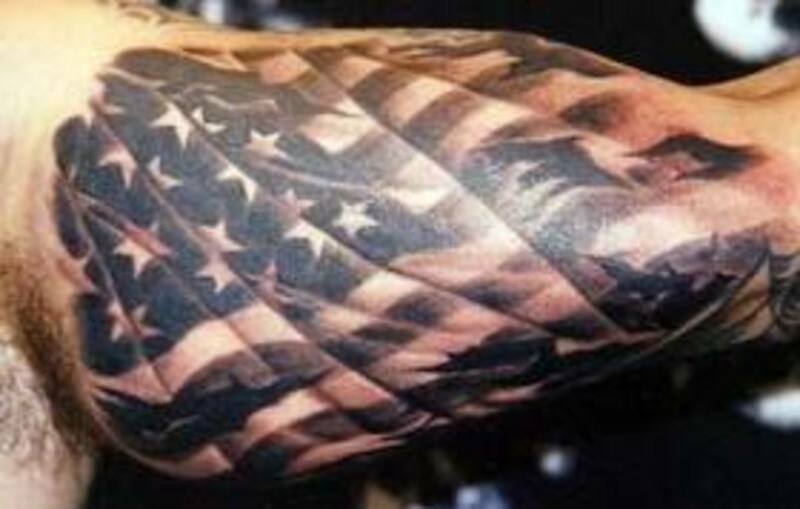 Because of the symbolism and emotional attachment to what the flag and bald eagle represent, almost all depictions of the flag in tattoo form are appreciated by those viewing them. 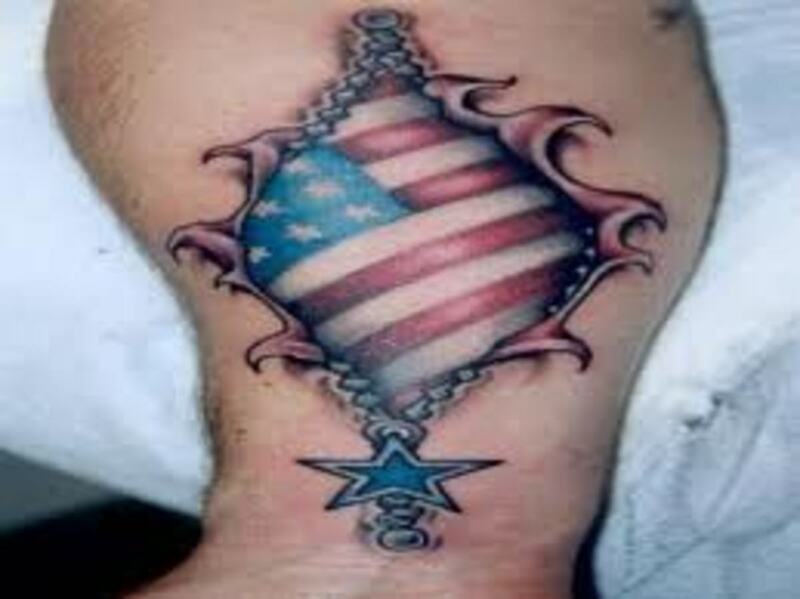 These are just a view of the way the American flag can be incorporated into a tattoo design, as there are all sorts of way it can be part of any number of designs which under gird the fact that patriotism still beats strong in the breast of Americans, and under the skilled hand and direction of a tattoo artist, can leave a lasting statement and impression which signifies what any one of us may feel deeply within.